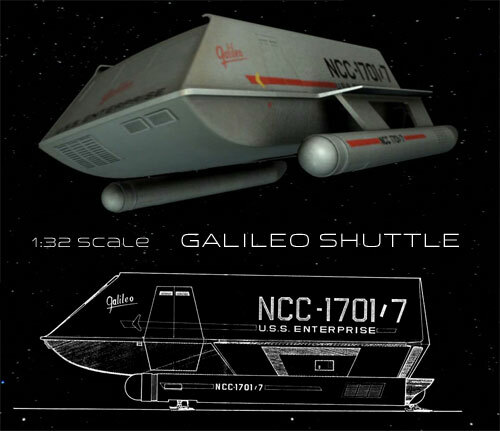 You are currently browsing the Collector Model blog archives for September, 2012. 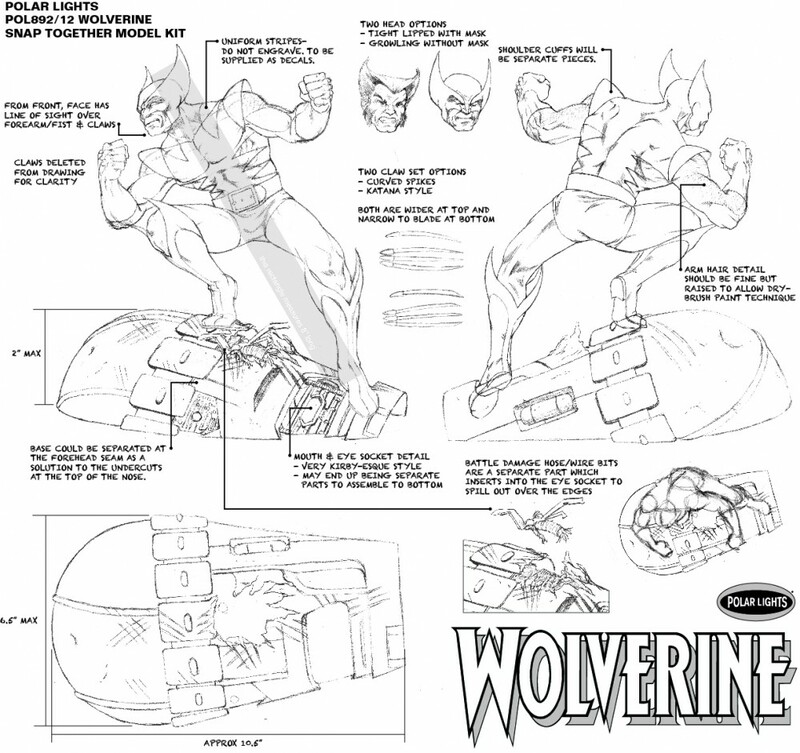 So it was with those fond memories in mind that I began our Polar Lights Wolverine model kit development. I wanted to keep him in his 70’s/80’s era look and landed on the yellow version of the suit mainly because that’s the one he started gaining popularity in. I also figured that anyone wanting to see a later version costume could omit the shoulder cuffs and with a little putty filling and sanding could make the brown suit version or with further mods create a more contemporary look. 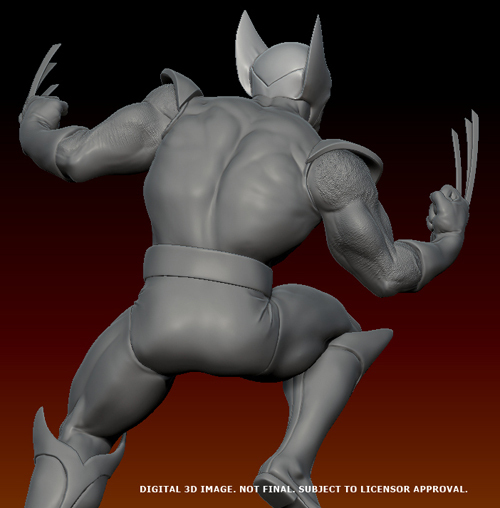 My goal was to make a great looking kit in his classic costume and keep it in reach to make any other version a modeler might want. 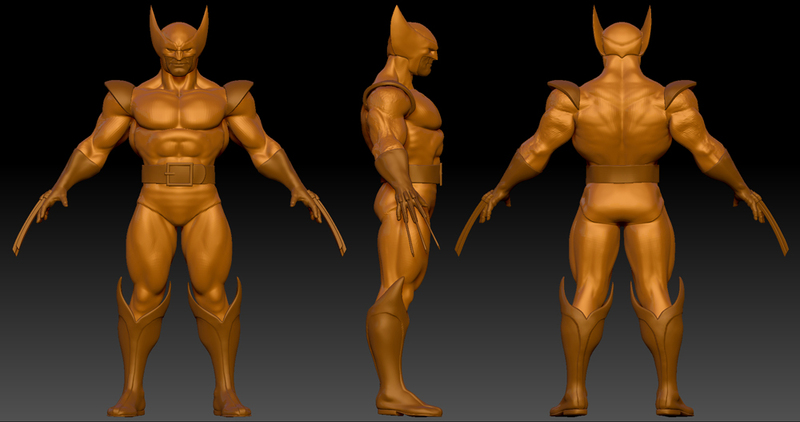 For the base, I originally considered making it out of a mass of dead Hellfire Club goons or ninjas. I felt ninjas would, by design, cause too many trapping problems on the tool. After thinking about how much more it would probably costs to sculpt several figures lying in a pile, I abandoned the Hellfire Club goons pretty quickly. Besides as villains, they weren’t terribly recognizable by anyone but longtime X-men fans. I landed on doing a Sentinel head. 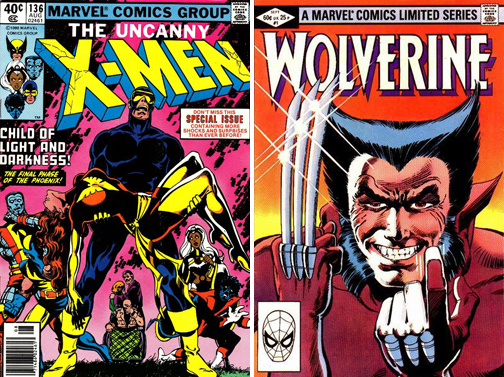 Even though they aren’t considered Wolverine’s arch foe, they were the villains in the classic “Days of Future Past” storyline in the Claremont/Byrne run in which Wolverine played a key roll. They would return to battle the X-men on several occasions. Besides, robots are cool and anyone who isn’t a die-hard would accept it as a normal occurrence for Wolverine to have taken down a big one. So here I show my original control drawing of the model. I wanted to capture a pose with plenty of movement for plenty of great views in the round. It was important for m to have the Sentinel look like he had lost a fight and supply plenty of room for additional detail in the eyes, mouth and other wounds. 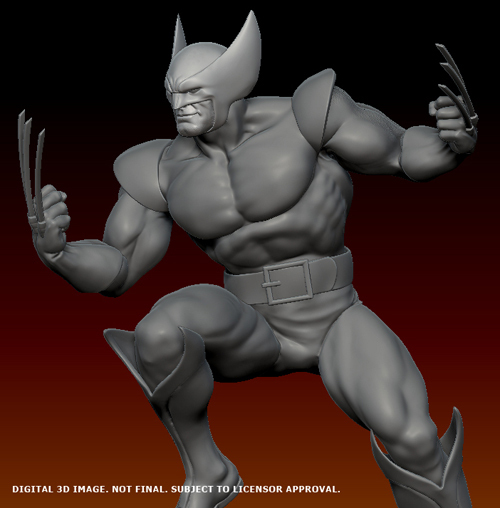 (I can’t wait to see someone add some fiber optic spark effects) We’ll be including the unmasked head, but the second set of claws has gone by the wayside. 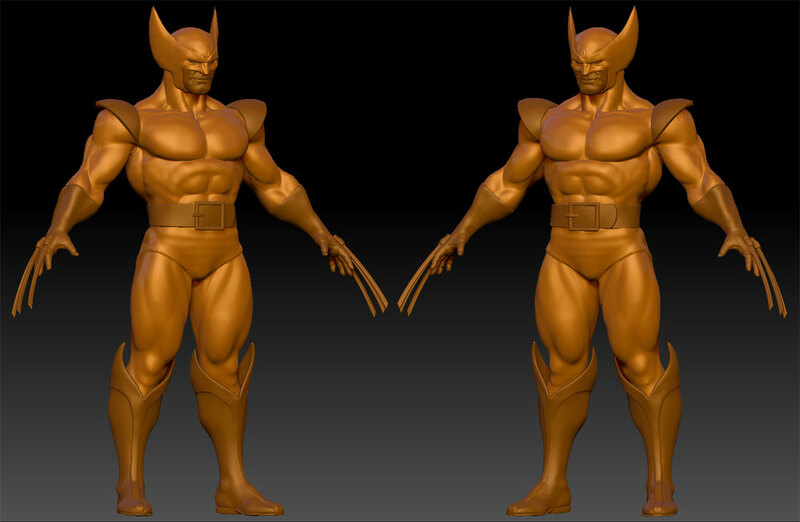 We hired Erick Sosa to sculpt the kit for us. 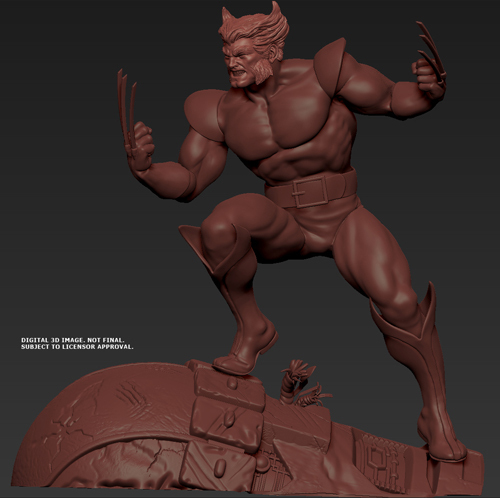 If you are familiar with the many licensed resin statue products on the market, you may know his work. 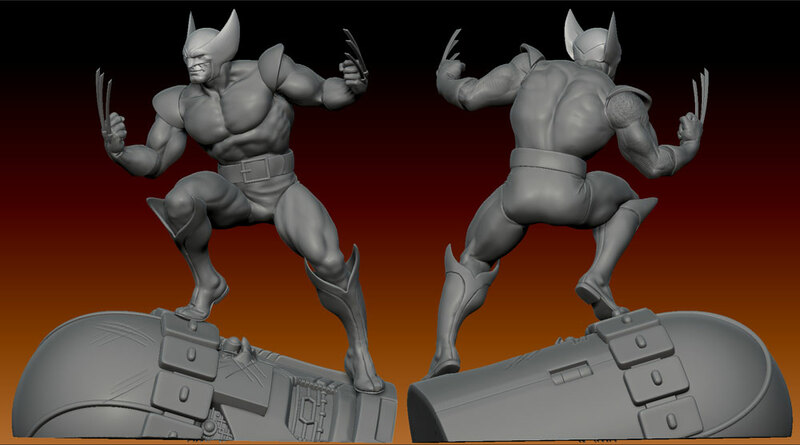 He has sculpted some great ones including iconic Punisher and Deadpool figures. 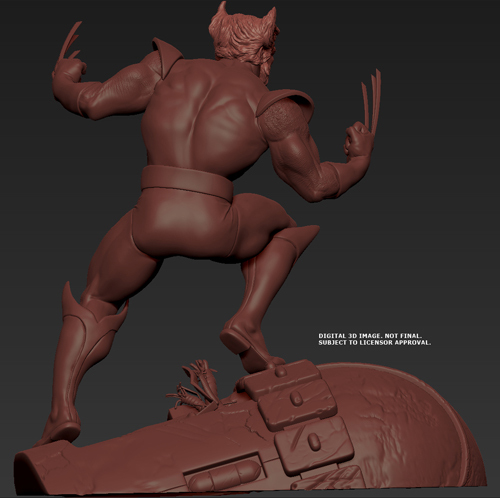 Erick sculpts digitally in Zbrush and works on the look of the figure before posing it. 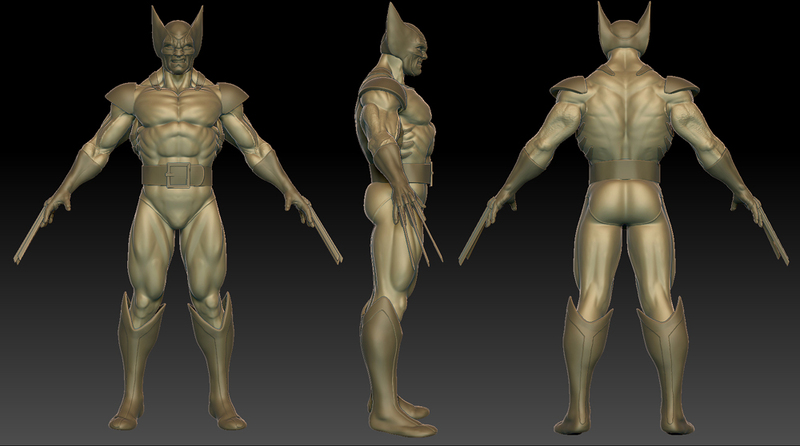 This shows his initial sculpt which I deemed to be too contemporary for what I intended for this kit. The look of the character was too close to how we see him in comics today rather than his “bronze age” appearance. I wanted to stylize him slightly to make him look more like a character from a comic book rather than a real guy in a suit. We had to weigh the realism we can achieve today with the flavor of an Aurora-style figure. I think we ended up striking the perfect balance. 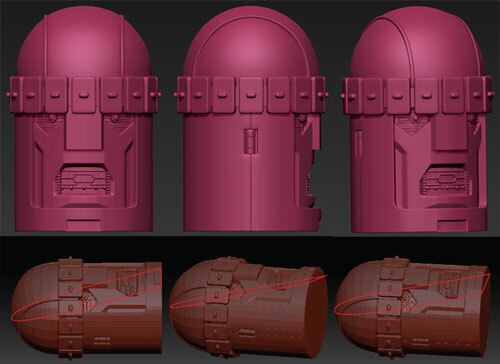 Here is a look at the Sentinel head before getting battle damaged. Figuring out the “waterline” was no easy task. As with all comics, the drawing allows any number of cheats, but translating it into real life gets tricky. I had designed it with an exact angle in mind that would result in a clean pull from the steel tooling. Conceptually, besides the rectangular shapes around his head and the structural damage protruding from the eye socket, it could be made as one piece. Whether or not this will be the case remains to be seen.